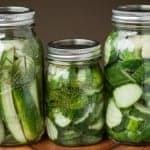 Never settle for frozen or store bought garlic bread again. 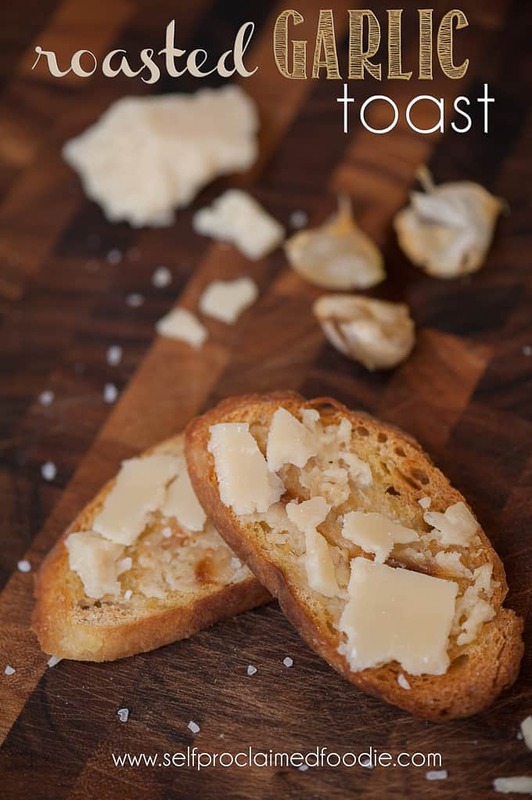 The flavor in this Roasted Garlic Toast will have you fighting over who gets the last piece. Allow me a moment to explain how I used to make garlic bread for things like spaghetti because, of course, you can’t have spaghetti without garlic bread. I used to cook a loaf of Italian bread in the oven to get the outside nice and crispy. Meanwhile, I would press about 6 cloves of garlic into a cup, through in a couple (oh let’s be honest – at least 4) tablespoons of butter, as well as a bunch of dry Italian seasoning. 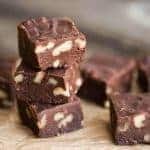 I would microwave that mixture until the butter was soft and starting to melt. Then I would cut the loaf of bread in half, slather each side with the garlic butter herb mixture, cover it with parmesan cheese, then broil it. 1. I LOVE roasted garlic. Love love love it. 2. 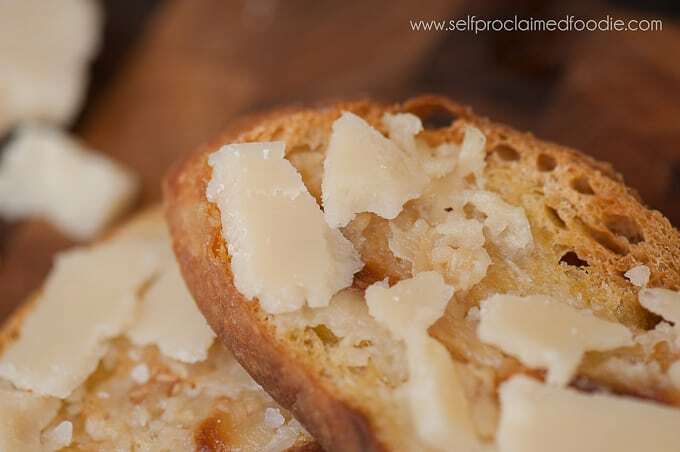 Not that I care much about eating healthy when it comes to bread and cheese, but making garlic toast this way was better (just a teeny bit) for my heart and my thighs because I can only imagine a drizzle of olive oil is better for your health than loads of butter. Plus, I prefer to not use the microwave whenever possible. That’s just a personal preference thing. 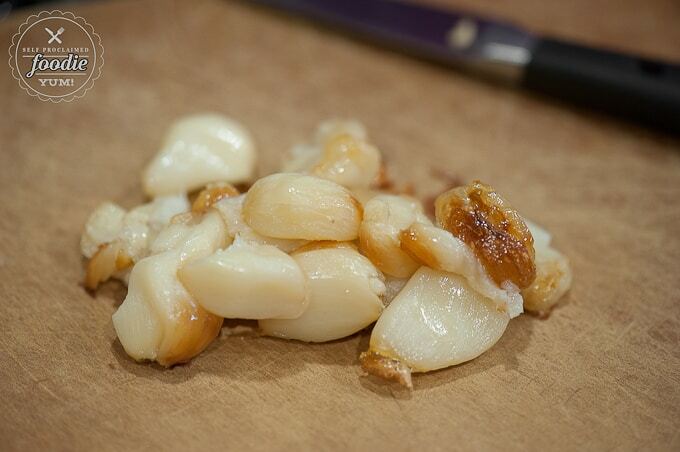 If you’ve never roasted garlic before, its easy. I always do at least a full head at a time. The other night, however, when I made spaghetti for the family, I roasted like 6 heads. We keep the extra cloves in the refrigerator and my convert-foodie-husband snacks on them like they’re candy. Aren’t they pretty? So soft and flavorful. My favorite part is when the edge gets golden brown and chewy. 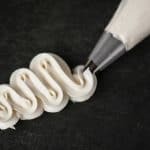 Then, you just take the side of your knife and smush everything around to make a paste. Voila! There you have it. 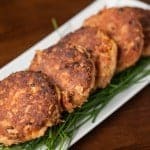 Not an earth shattering or mind blowing recipe. Just good food. I know you’ll appreciate it though, because people who love to eat are always the best people. Cut the top, opposite the root, off the head of garlic. Discard the outer papery shell. The root should keep all the cloves in tact. 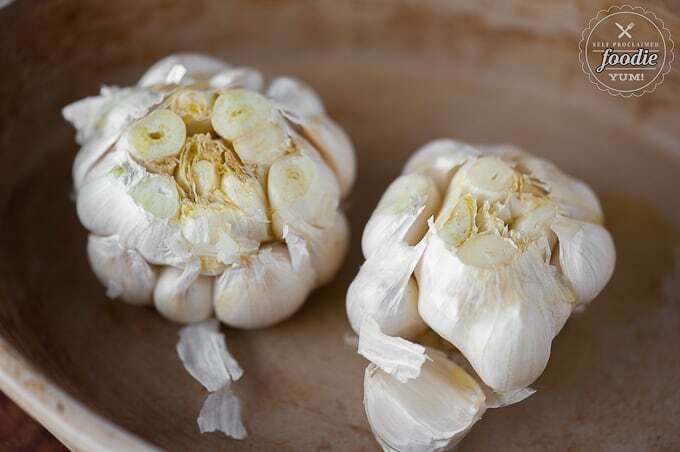 Place garlic in a small oven safe dish, cut side up. Drizzle olive oil over cloves. Roast in oven until fragrant and golden brown, about 15 minutes. Remove from oven and allow to cool. When garlic is cool enough to handle but still warm, squeeze out each clove into a small dish. 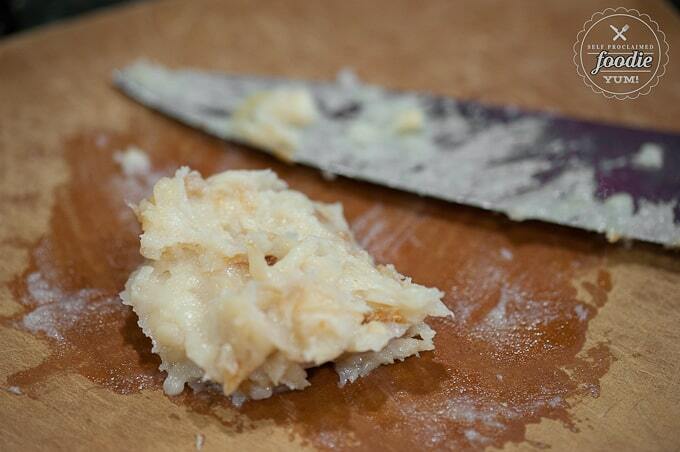 Once all garlic has been removed, smash it into a paste with a fork. Slice baguette and arrange in a single layer on a baking dish. Toast in preheated oven until crisp, about 5 minutes. 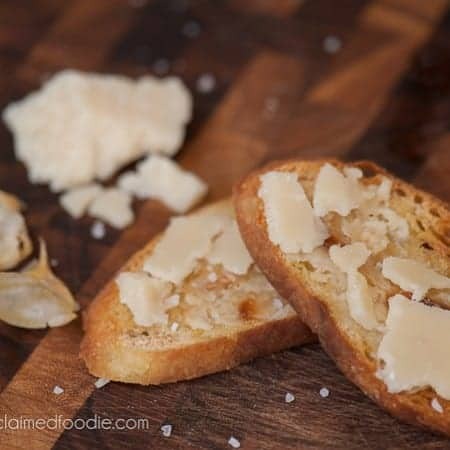 Spread roasted garlic on toast and top with shaved parmesan.